Club 80-90 Forums • View topic - OE rear spare wheel carrier handle. How to dissassemble? OE rear spare wheel carrier handle. How to dissassemble? Mine is so stiff I can barely rotate it. Re: OE rear spare wheel carrier handle. How to dissassemble? All assembled with rollpins are they not? Does the job. One clockwork screen photo. 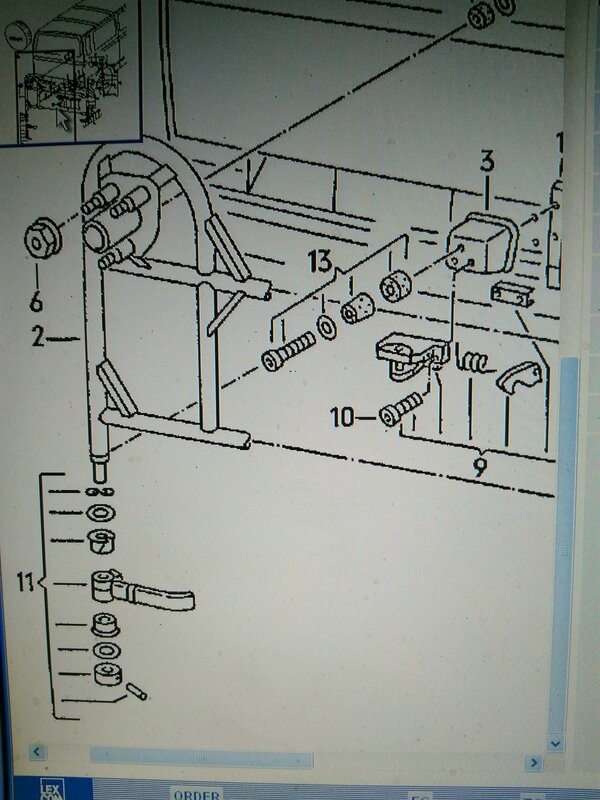 The parts list does not break down the individual fixings. 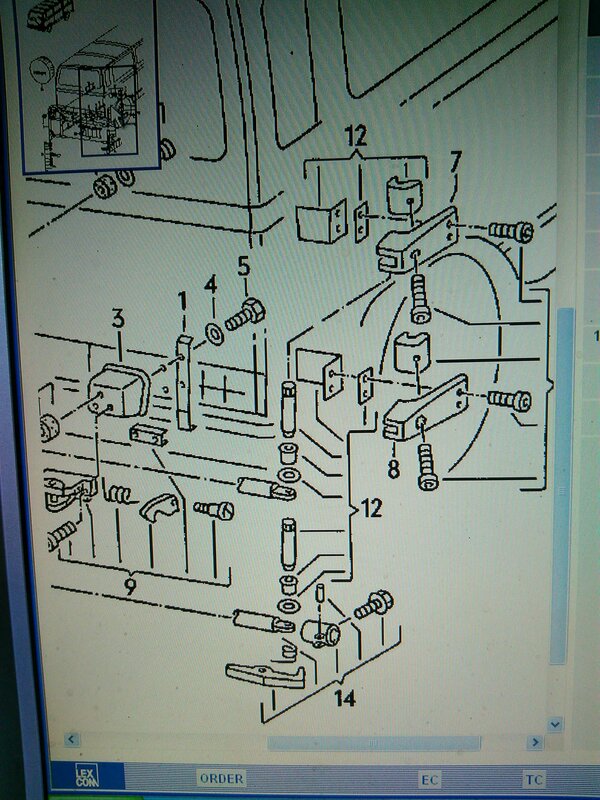 I would say that the latch pivot above "14" is a roll-pin, not a screw. Break out the WD40 and give it a few choice words from a suitable punch/drift and hammer. Aha, thanks! That's a better quality pic than I found. Looked on ETKA and everything. Are there part numbers as well for number 11? I may have to go fishing on Classic Parts if its buggered. It has been liberally soaked in PlusGas. Mine is missing the rollpin in bottom collar. Should I be able to unwind the collar with molegrips, or should it drop out if the pin is removed? Did you find out how yours comes apart. Re:part numbers, have an old update of ETKA and nearly all of it is listed as NLA apart from the standard screws and washers. No breakdown of the minor assemblies that make up the carrier.